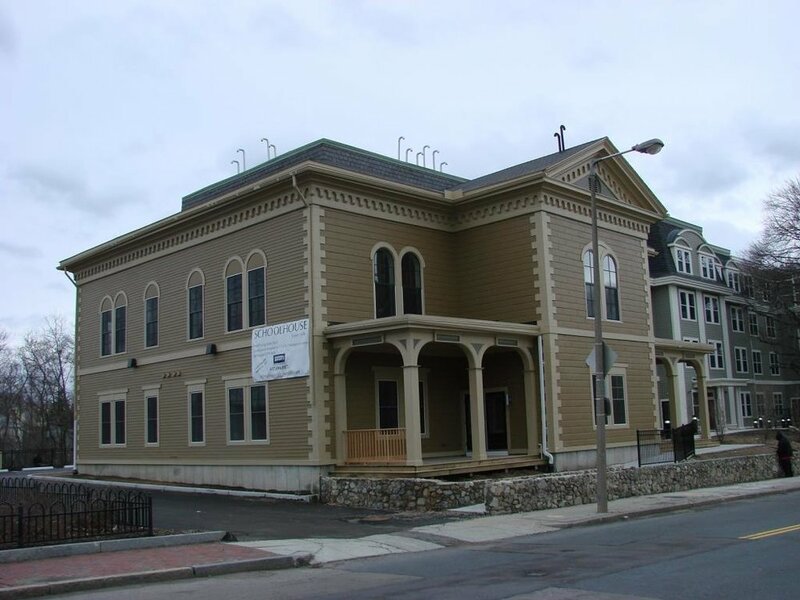 • 58,000 SF, six-story building which has 37 condominiums. • The building is a mixture of 34 one and two-bedroom apartments and three three-bedroom penthouse units. • Also included in the building is a fitness center and underground parking. • The basement of the building serves as a parking garage for 19 vehicles and space for building services. • Retail spaces at ground level and multi-unit residential condominiums on the upper floors. • Four story L-shape building with flat roof. • First floor consists of 3,600 SF of retail space, community room and common indoor space. 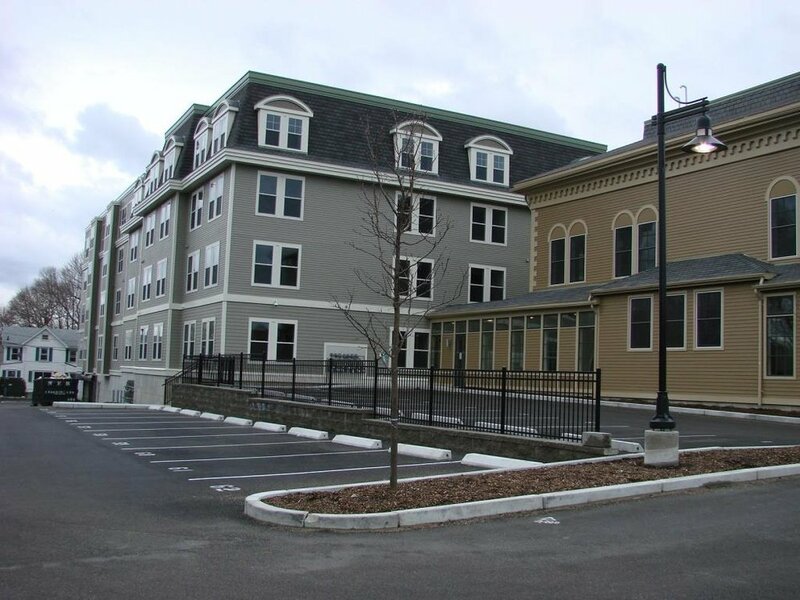 • Multi-Unit rentals on the upper floors with 48 units set aside for affordable housing. • Part of the City of Boston’s Green Affordable Housing Program boasting LEED Silver status utilizing photovoltaic panels, green roof and solar thermal panels. • Design of a new four-story residential building and the renovation of a two-story historic wood school house built in 1850. • The schoolhouse has eight units and is connected to the new building by an interior walkway. • The new residential building has 54 units with 6 of these units being set aside as affordable housing. • Of the 54 units, 40 are one-bedroom/one-bathroom; 8 are one-bedroom/one-bathroom with a den and 14 units that are two-bedroom/one-bath. • All units have in-unit washer & dryer units. Amenities include a club room for residents, a fitness center and a storage area. • Underground parking is also provided.